A Single-Speed city-focused MTB that is durable and sturdy. 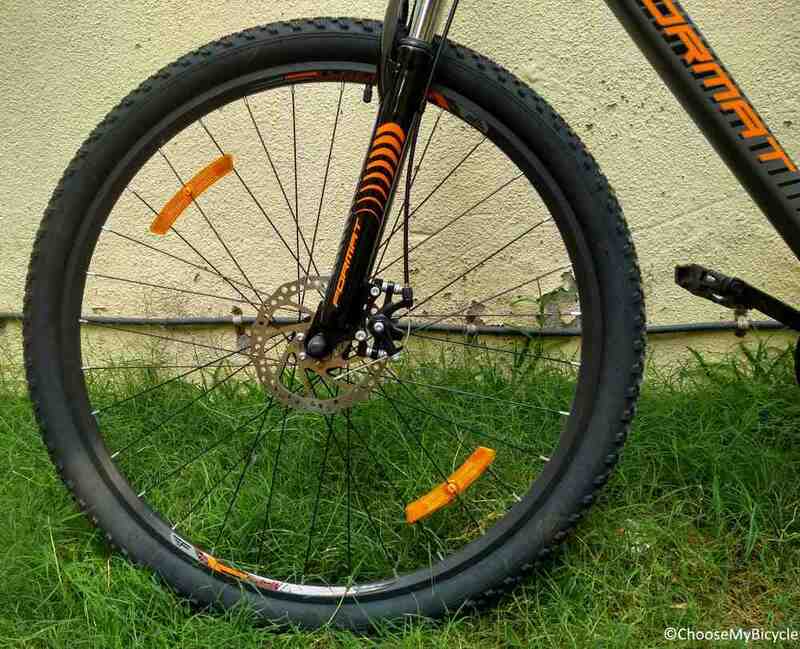 A Russian brand that is gaining popularity in the Indian market for well performing bicycles at a great price point, that is well suited to cyclists across all age groups. We got to review the Format 2910, a Single-speed city-focused leisure MTB, read on for our thoughts. The Format 2910 has been made using a lightweight Hi-Tensile Steel frame. While steel is known to be on the heavier side, the design of this bicycle and the welding on the frame contributes towards reducing the overall weight of this bicycle. The geometry of the frame ensures a comfortable, upright riding position. This bicycle comes equipped with an entry-level Hi-Ten Steel suspension fork, which works well to absorb vibrations felt on urban roads. Additionally, the frame houses a mounting option for a water bottle cage. This bicycle is available in an 18.5” frame size. The Format 2910 is a well-designed Single-Speed bicycle. The welding on the edges of the frame appear neat and smooth. 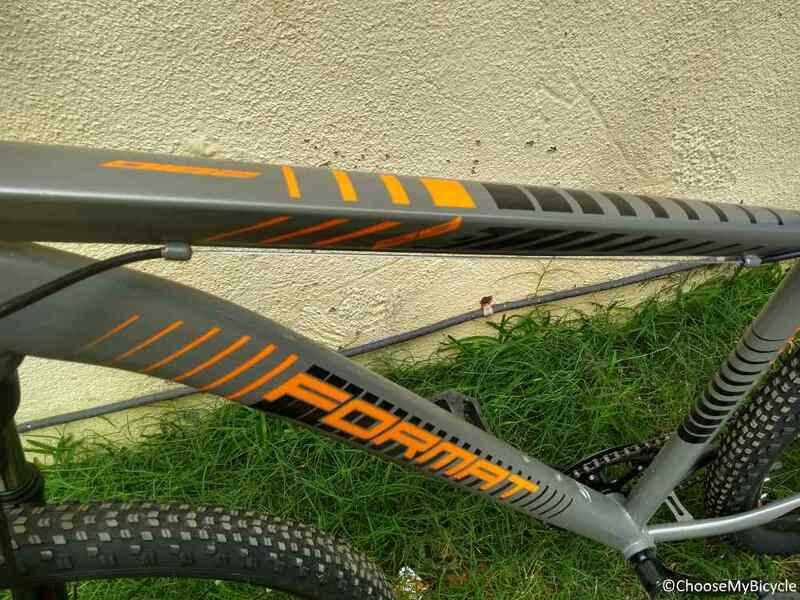 The bicycle we test rode had a Grey frame with Orange and Black decals and branding. The minimal and sleek graphic work on the bicycle adds to the overall aesthetic appeal. 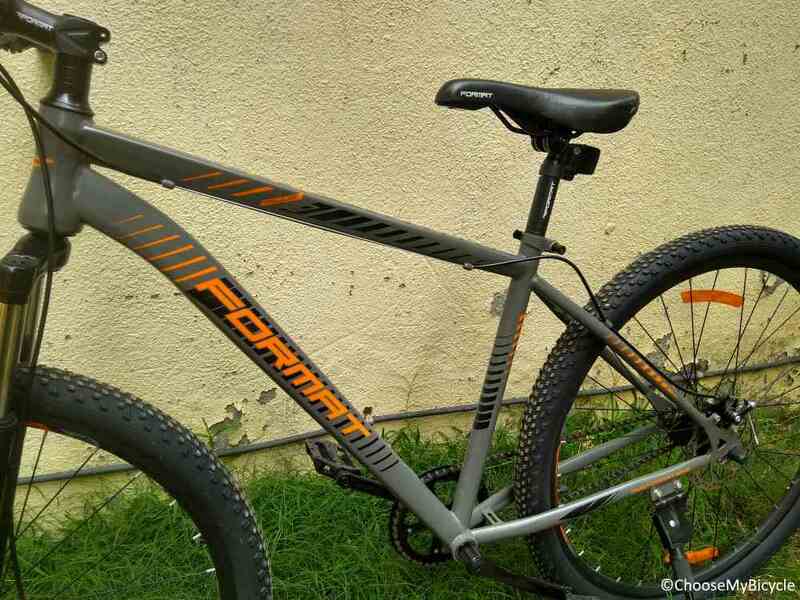 This bicycle is available in two colour options – Grey/Orange and Yellow/Blue. This Format 2910 is a straightforward Single-Speed Bicycle. The bicycle is ideal for city commuting and leisure riding. The bicycle would require extra effort while using it on elevated areas in the city, like on flyovers or in cities with variable terrain. In today’s world of technological advancements, a straightforward Single-Speed bicycle is losing their base and the introduction of many such Single-Speed lines from manufacturers is reviving their popularity. The Format 2910 comes equipped with Mechanical Disc brakes at the front and rear that offer adequate stopping power for city use. The brakes were powerful and strong when tested. However, additional stopping power might be required while on wet and slippery surfaces. The Format 2910 comes equipped with a Format Steel flat handlebar. The width of this handlebar ensures a comfortable, open chested, upright riding position. Additionally, it allows for superior control and maneuverability in crowded riding conditions. The handlebar grips felt to be slightly on the harder side while on the test ride. The Format 2910 comes equipped with Duro DB 1072 29”x2.10” MTB tires. The treading on the tires allowed for a good grip and added traction while on the road, making this bicycle ideal for regular city usage and occasional longer distance rides. There is no quick release option on the wheels. Quite notably, the closeness of the treading and the width of the tires make this bicycle more stable and balanced, even on bumpy and rugged surfaces. The stock Format SQL Saddle on this bicycle is well-cushioned and wide enough to comfortably accommodate one’s sit bones. Additionally, the seat post has a quick release option, making adjusting the height of the saddle easier on the go. The overall ride quality was smooth and favorable. 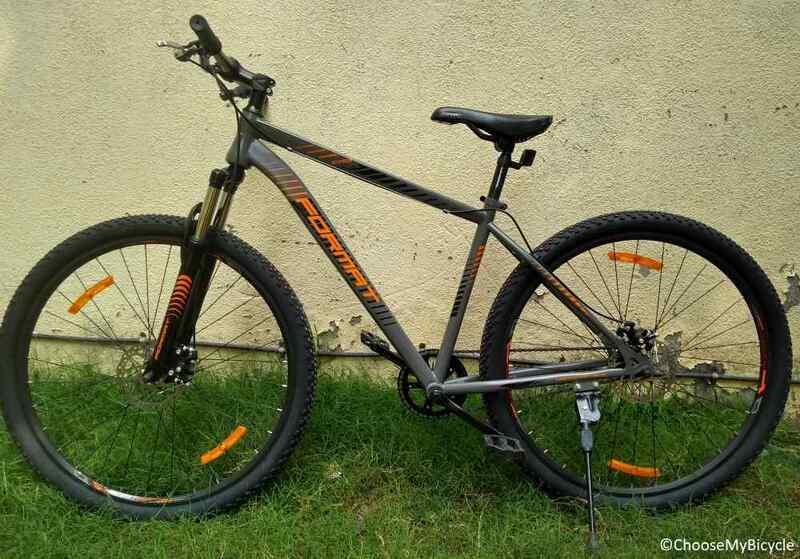 The Format 2910 priced at Rs.12,990 (as on 7th February 2019) is an ideal bicycle for beginners looking for a no-fuss value for money, single speed bicycle that is ideal for regular city usage and recreational weekend rides also this bicycle makes for a great option for daily commuting in urban areas with rugged roads and paths.